In many countries there has been an alarming increase in rates of suicide and self-harm, yet the stigma attached to these difficulties often leads to sub-optimal care. 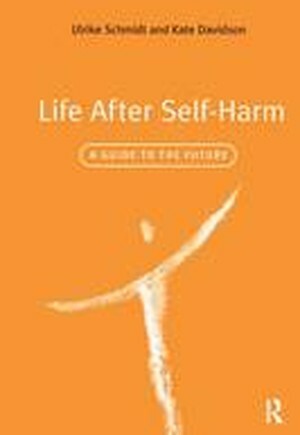 Life After Self-Harm: A Guide to the Future is written for individuals who have deliberately harmed themselves. Developed through a major research project the contents of the manual have been informed and shaped by many users and expert professionals. Illustrated with multiple case-histories, it teaches users important skills: * for understanding and evaluating self-harm * for keeping safe in crisis * for dealing with seemingly insolvable problems * for developing coping strategies * for re-connecting with life. Health workers who regularly come into contact with individuals who have self-harmed will find the wealth of practical advice in this book extremely valuable for recommendation to patients either as a self-help book, or in the context of brief therapy. Major Health Warning. Note to Health Care Practitioner. Part I: Getting Started. Introduction. You are Not Alone. Why do People Harm Themselves? Trying to Understand Your Reasons for Harming Yourself. Is There Anybody Out There? Further Thoughts. What Next? Part II: What to Do in a Crisis. Getting Support. Keeping Yourself Safe. Trying Not to Slide Down into a Pit of Loneliness and Despair. Things I Still Want to Do. Crisis Plan. Part III: Learning to Solve Problems. Help! My Life is a Mess. Learning to Disentangle Your Problems. Step 1: Finding Possible Solutions Through Brainstorming. Step 2: Looking at Options in Detail. Step 3: Choosing a Solution that Fits You. Step 4: Finding Ways of Putting Your Solution into Practice. Step 5: Carry Out Your Plan Step by Step. Step 6: Check Progress in Problem Solving. Part IV: Learning to Change Your Thinking. Let's Make a Start by Looking at Moods. Linking Feelings and Thoughts. A Thought is Not a Fact: Learn to Recognize Skewed Thinking. Where Does This Kind of Skewed Thinking Come From? The Memory Trap or: Why Does my Thinking Overwhelm Me? Starting a Thought Record. How to Challenge Biased Thinking. Part V: Alcohol, Drugs and Pills: Do You Need to Cut Down or Stop? Should You be Worried About Your Alcohol Intake? Have the Guts to Stop or Cut Down Drinking. Should You be Worried About Your Drug Intake? Should You be Worried About Your Consumption of Tranquillizers or Sleeping Tablets? How to Deal with Sleeping Difficulties. Part VI: Some Further Thoughts. What Can You Learn From the Past? What if You Found Yourself Slipping Again? "If Only..." From Change to Accepting. What Cannot be Changed.